We have experienced the tonal gradations with acrylics with the students of Grade 8, to learn how to mix colors, starting with the lightest color and adding gradually the dark color up to the saturated color. 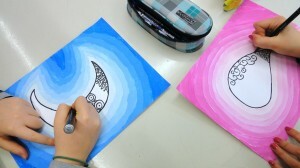 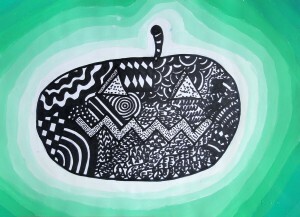 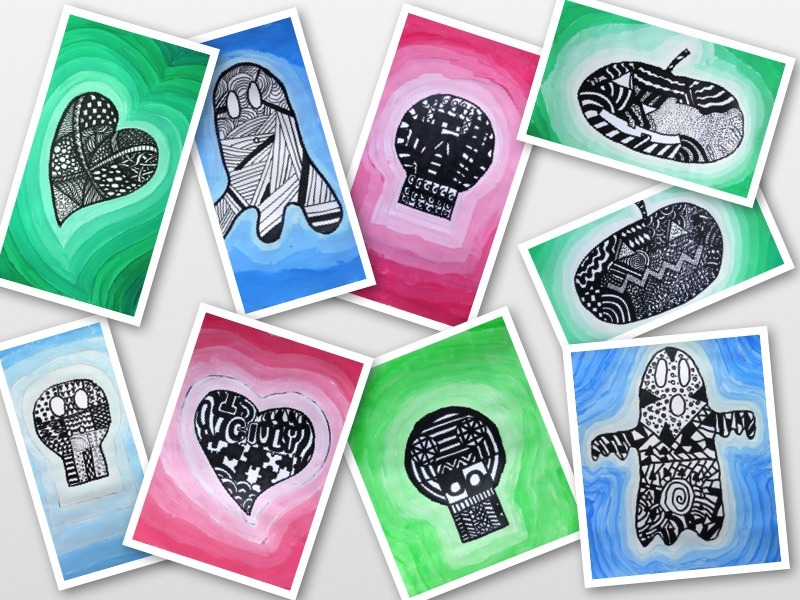 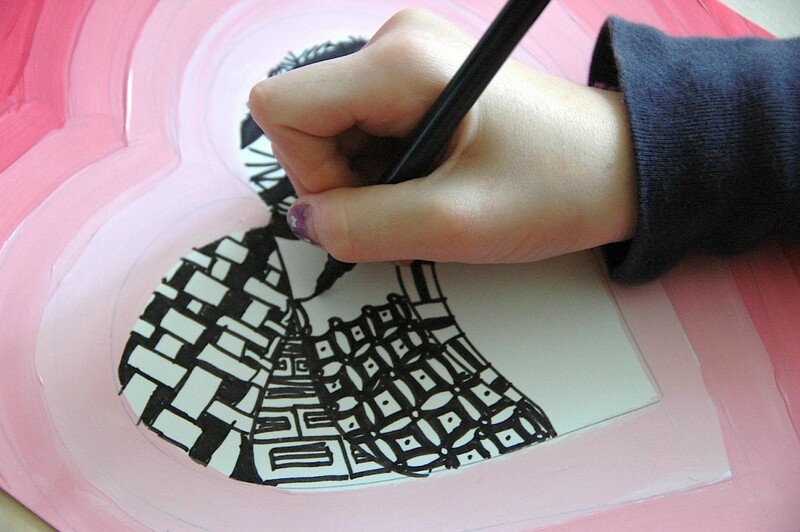 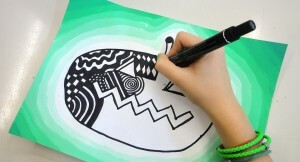 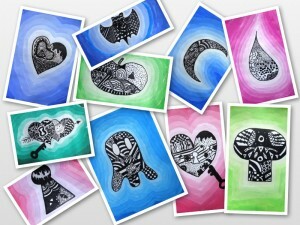 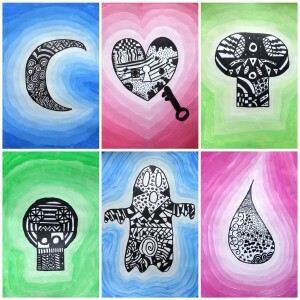 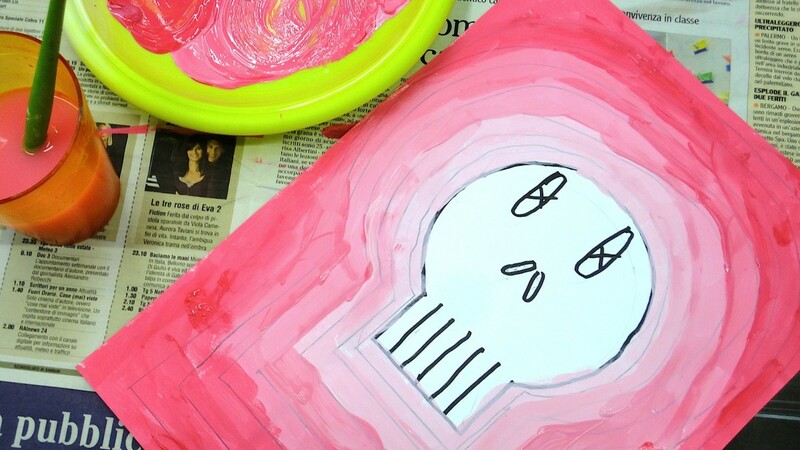 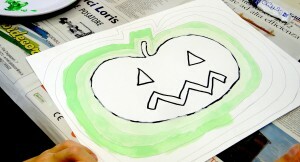 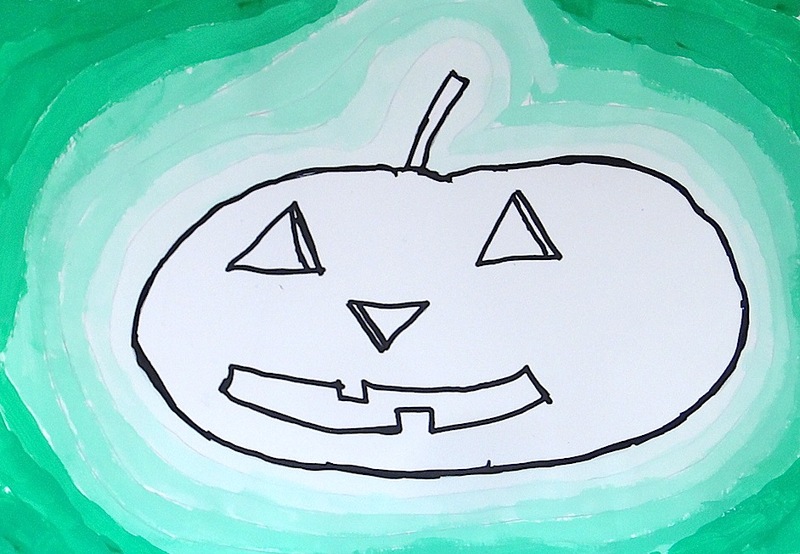 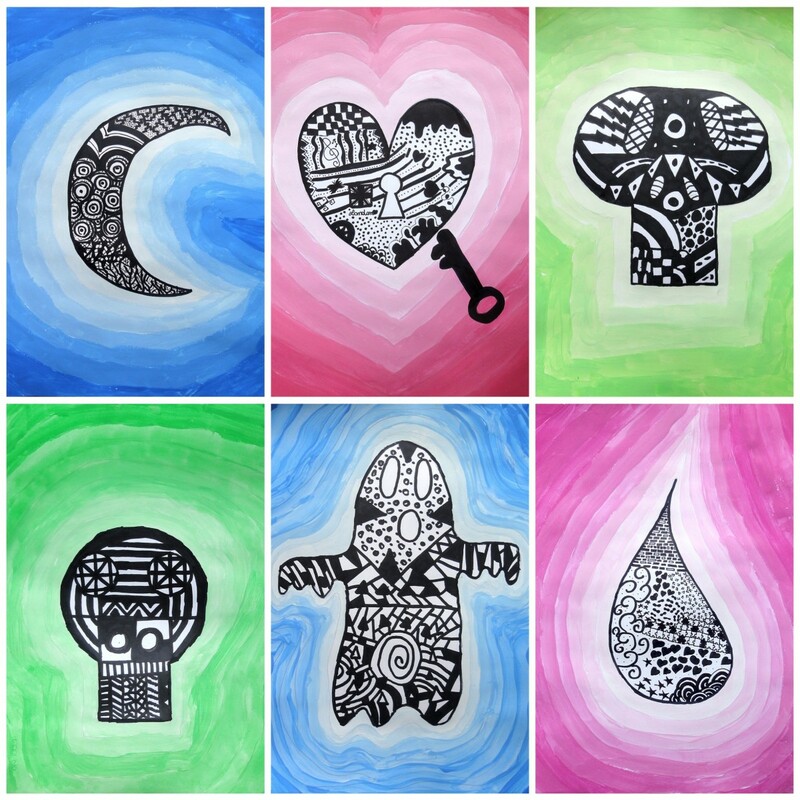 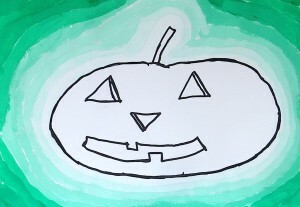 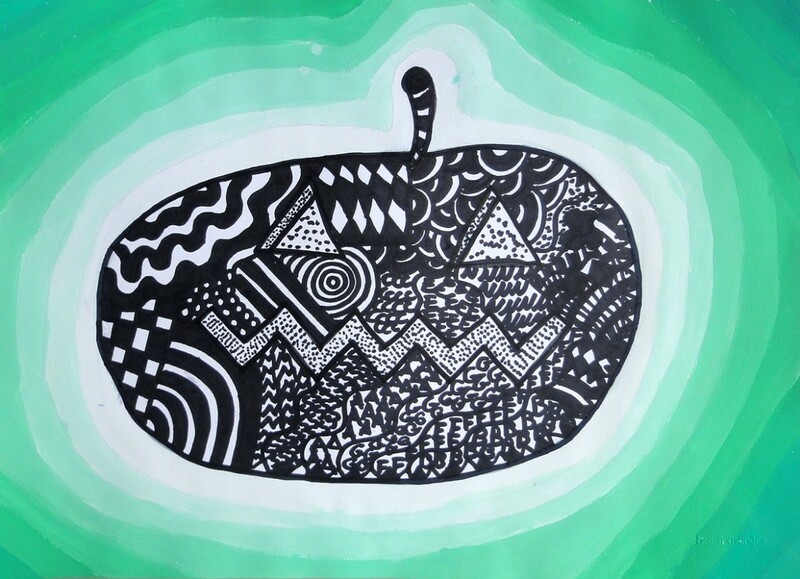 At the center of the painting each student has drew a shape of his own invention, decorated with black and white zentangle … We were at the end of October and as you can see many of these images are inspired by Halloween! What is the material you painted on? 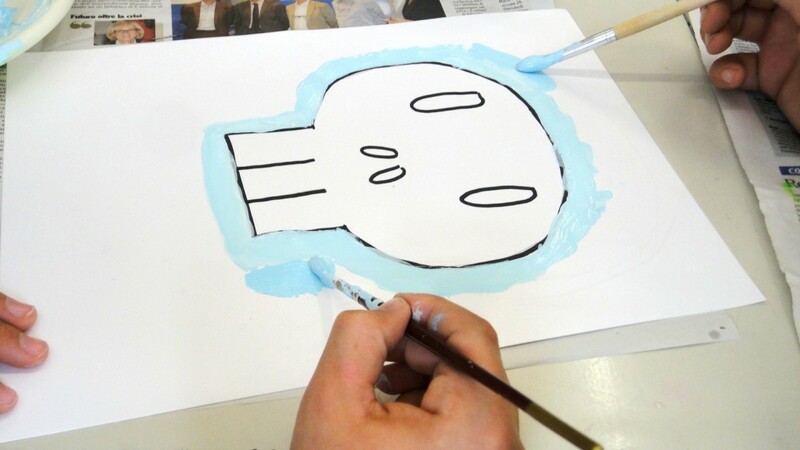 It looks like a white card stock of some type.